MTK Extractor is a small application which allows you to extract the contents of your system.img and system.new.dat of your firmware. Here, on this page, we will be sharing all version of MTK Extractor. Credits: MTK Extractor is created and distributed by Mr. Le Hau (senior developer). So, full credits goes to him for sharing the application for free. It is a portable application, which means you don’t have to install it on your system to be able to use it. Simply double click on the MTK_Extractor.exe file, and you are ready to use it. It allows you to extract the contents of any system.img file or system.new.dat file on your computer. Just, click on the browser button and select the system.img or any img file and click on the Start button to extract it. 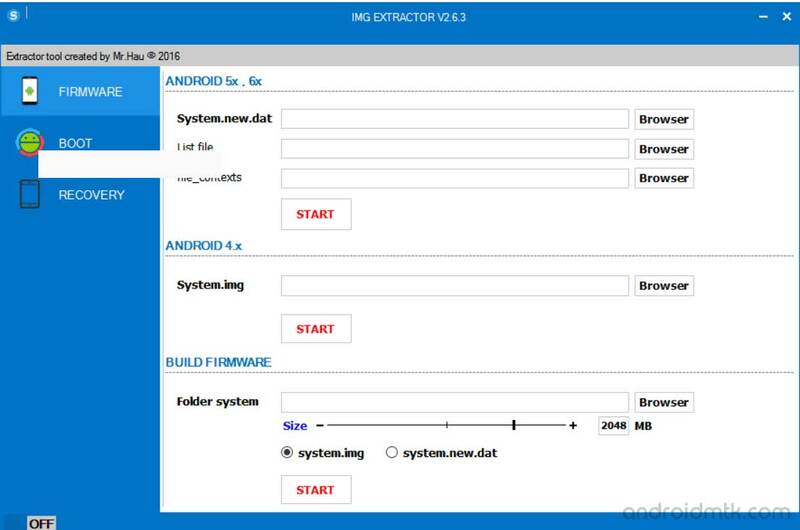 If you have extracted system.img or any img file for doing some modifications into it, and later you want to repack the img file, then using the MTK Extractor tool, you can do the same. It allows you to extract the contents of any boot.img file and later you can repack the contents (after doing any modifications) into a boot.img file. This app allows you to extract the contents of recovery.img file and later you can re-pack the extracted files into a recovery.img file using this feature. Previous articleXiaomi Mi 6 Sold Out In Seconds! Call of Duty 2019 will return to count on single player campaign!